Logs are always important for anyone who works with any application. SQL Server has its own Logs that can be accessed to get the required information. Often, people call it as SQL Server Error logs. However, I personally would like to refer as SQL Server logs instead of Error Logs. The reason is that it does not only report the errors or exceptions, but also other important information. What are the different types of logs in SQL Server? Each one represents the logs for different purposes. 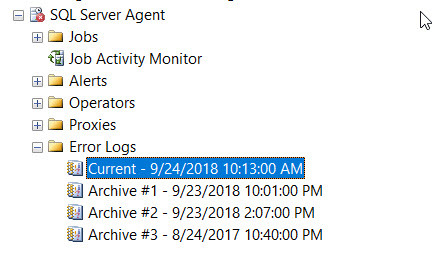 How do we see these log information? There are multiple ways to get the log information as below. 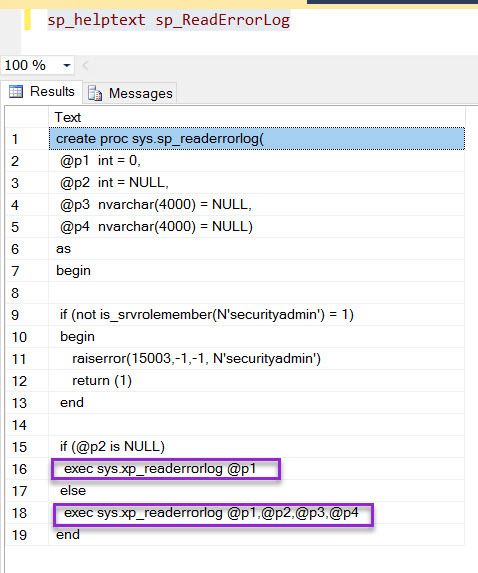 XP_ReadErrorlog is an extended procedure available in SQL server. Please note that this is an undocumented procedure. There is also another method using sp_readerrorlog. However, if you take the definition of the procedure, it uses XP_readerrorlog internally. Management provides two options for us to view the logs as below. How to find the location of SQL Server log file? The logs are not storing in SQL Server anywhere, but in the disk. When you access the logs in any of the above methods, it reads from a file from the predefined location. We can identify the location of the log files by any of the below methods. 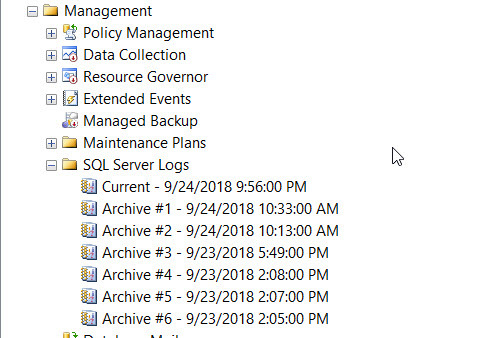 How do we clear the Logs from SQL Server? To clear the Logs, there are two options as below. To be clear, there is no concept of clearing the log *immediately*, but closing the most recent one and clearing the oldest one as per the configuration. – Closes the current log for SQL Server logs and flush the oldest one. – Customize the number of maximum archives that you want to keep. The range is between 6(Min) to 99(Max). – You can configure the number of error logs by Right click on “SQL Server Logs” under Management -> Configure -> specify the number of files. By default, the value is 6. – Make sure the current database is msdb. 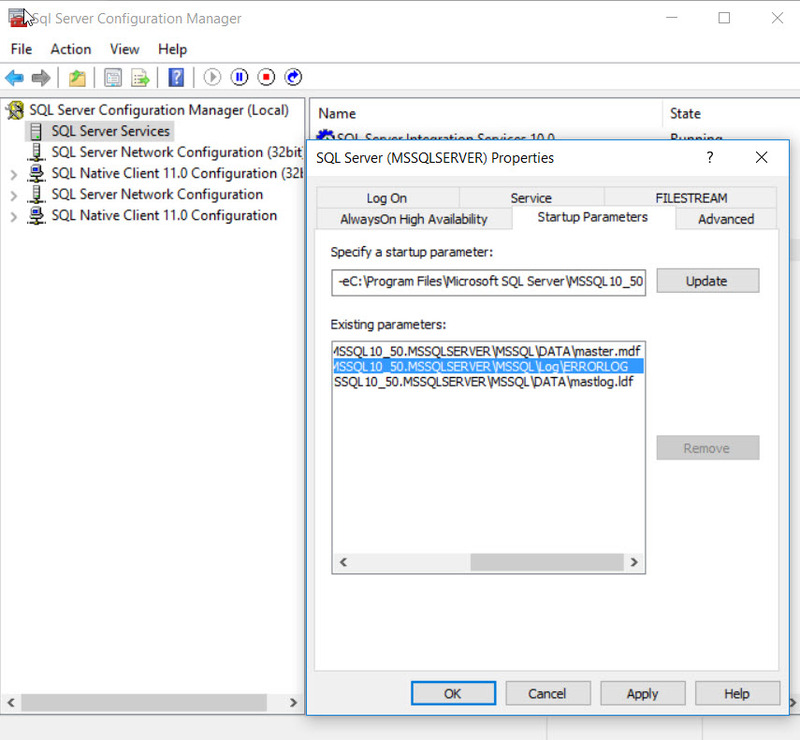 – Make sure the SQL Server Agent is up and running. – Can have maximum of 9 archives for agent logs. Hope this post helps you to understand the Logs in SQL Server, Looking for your feedback if I missed anything.